Columbia Records has released “Don’t Lie To Me,” a new single written and recorded by Barbra Streisand from her upcoming album Walls, due out November 2nd on CD and LP. It’s Streisand’s first album primarily consisting of original songs since 2005. “Don’t Lie To Me” is a stirring precursor to the forthcoming Walls, the first Barbra Streisand album to encompass a unified social theme. Led by the passionate plea, “Don’t Lie To Me,” Streisand shares the guiding principles and values she has believed in, spoken about, and fought for her entire life. 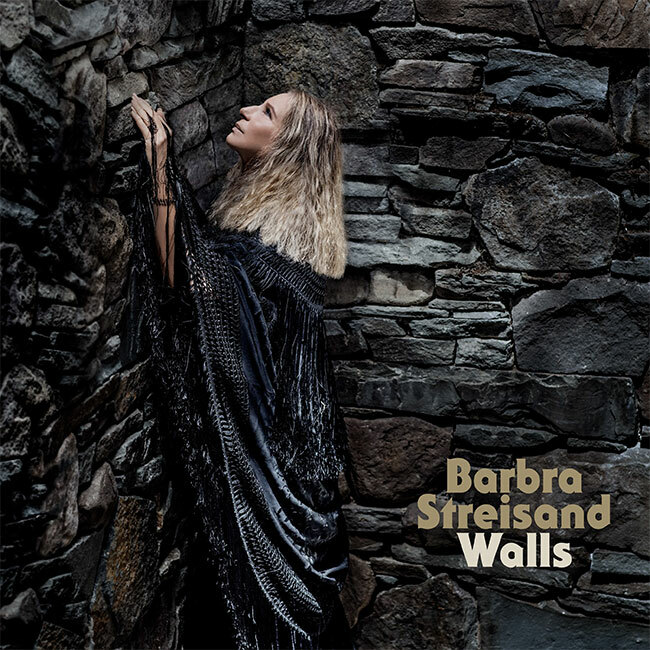 Walls finds Streisand exploring both her concerns and hopes for the future in a collection filled with beautiful melodies and thought-provoking lyrics. In addition to the three original tunes which the Oscar-winning songwriter contributed to, the songs on Walls explore topics near to the celebrated artist’s heart. Streisand also brings a fresh perspective to the classic songs “Imagine” and “What A Wonderful World,” and the Bacharach/David pop standard “What The World Needs Now.” The penultimate song that Streisand sings is a timely one called “Take Care Of This House” by the legendary composer Leonard Bernstein and lyricist Alan Jay Lerner. Streisand is the only recording artist in history to achieve a No. 1 album in six consecutive decades. She has recorded 52 gold, 31 platinum and 13 multi-platinum albums in her career. She is the only woman to make the All-Time Top 10 Best Selling Artists list. Streisand has had 34 albums make the Top 10 on the US charts, the only female artist to have achieved this milestone, tying her with Frank Sinatra. She is also the female artist with the most number one albums in Billboard’s history. Widely recognized as an icon for her artistic achievements, she has been awarded two Oscars, ten Grammys including two special Grammys, five Emmys, three Peabodys, and eleven Golden Globes including the Cecil B. DeMille Award. In 2015, President Barack Obama presented her with the highest civilian honor the United States bestows, the Presidential Medal of Freedom. She had already received the National Medal of Arts from President Clinton in 2000, as well as France’s prestigious Legion of Honor.